This work in the MSU Press Rhetoric and Public Affairs Series chronicles Frederick Douglass's preparation for a career in oratory, his emergence as an abolitionist lecturer in 1841, and his development and activities as a public speaker and reformer from 1841 to 1845. Lampe's meticulous scholarship overturns much of the conventional wisdom about this phase of Douglass's life and career uncovering new information about his experiences as a slave and as a fugitive; it provokes a deeper and richer understanding of this renowned orator's emergence as an important voice in the crusade to end slavery. Contrary to conventional wisdom, Douglass was well prepared to become a full-time lecturer for the Massachusetts Anti-Slavery Society in 1841. His emergence as an eloquent voice from slavery was not as miraculous as scholars have led us to believe. 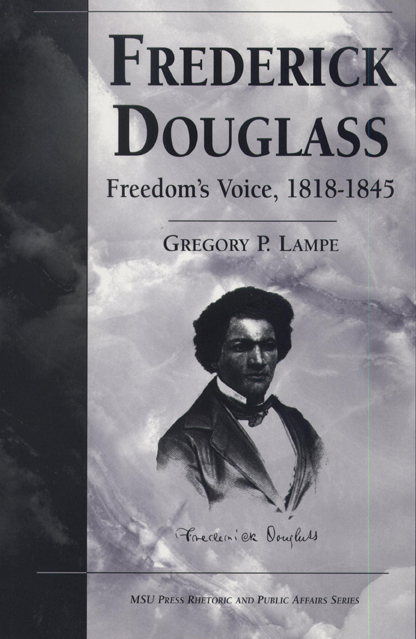 Lampe begins by tracing Douglass's life as slave in Maryland and as fugitive in New Bedford, showing that experiences gained at this time in his life contributed powerfully to his understanding of rhetoric and to his development as an orator. An examination of his daily oratorical activities from the time of his emergence in Nantucket in 1841 until his departure for England in 1845 dispels many conventional beliefs surrounding this period, especially the belief that Douglass was under the wing of William Lloyd Garrison. Lampe's research shows that Douglass was much more outspoken and independent than previously thought and that at times he was in conflict with white abolitionists. Included in this work is a complete itinerary of Douglass's oratorical activities, correcting errors and omissions in previously published works, as well as two newly discovered complete speech texts, never before published. Gregory P.Lampe is provost and vice chancellor of the University of Wisconsin Colleges. He taught in the Communication at the University of Wisconsin-Rock County.